The Barrie Colts have played their first 30 games of the 2018-19 regular season. In this article, we will take a look at how they have looked nearing the season’s halfway point, their three-goalie situation and more. Barrie has struggled with consistency as it heads into the Christmas break following this week’s matchups. The team currently sits in fourth place in the Central Division and eighth in the Eastern Conference with a 15-14-1-0 record. Over-age forward Lucas Chiodo currently leads the Colts in points with 18 goals and 26 assists for 44 points. The speedy winger has seen his linemates change throughout the season. He has been paired with everyone from NHL draft prospect Ryan Suzuki, Buffalo Sabres prospect Matej Pekar, OA Ben Hawerchuk and recently reacquired Jacob Tortora. His creative playmaking and speed have made him a valuable linemate for all who have been paired with him. Ryan Suzuki is thriving in his draft year. Currently second in team scoring and it doesn’t appear he plans on slowing down. In 28 contests, he is already 10 points away from matching his production from his rookie campaign. 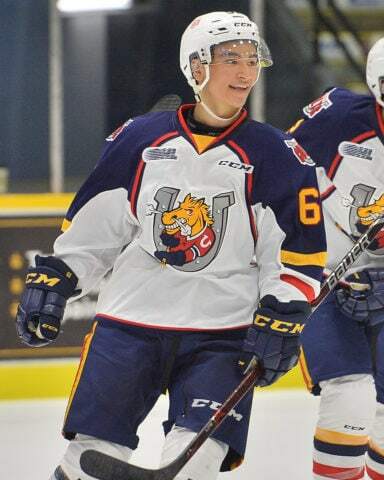 Suzuki looks like a player in his fourth OHL season; he has so much maturity and vision that you rarely see in players at this point in their careers. His patience with the puck drives opposing players and goalies mad. There are not many holes in his game, but if you wanted to find an area he could improve, I would look at his face-offs. While 44.2 percent is not terrible, it is a part that could improve. Barrie has rolled with three goalies this season: Vegas Golden Knights prospect Maksim Zhukov, returning goalie Kai Edmonds and rookie Jet Greaves. Zhukov seemed to be the team’s starter early this year but has struggled recently. In his last four starts, he has allowed 19 goals against. His last win was a shutout versus the North Bay Battalion on Nov. 15. Lately, Edmonds has given the coaching staff reason to consider giving him the starting gig in Barrie. Early in the campaign, he didn’t get many starts, and you could see it in his confidence. Recently, with Zhukov struggling it has allowed Edmonds to get more looks. Since Nov. 22, Edmonds has made seven appearances for the ponies, posting four wins and a .942 save percentage. 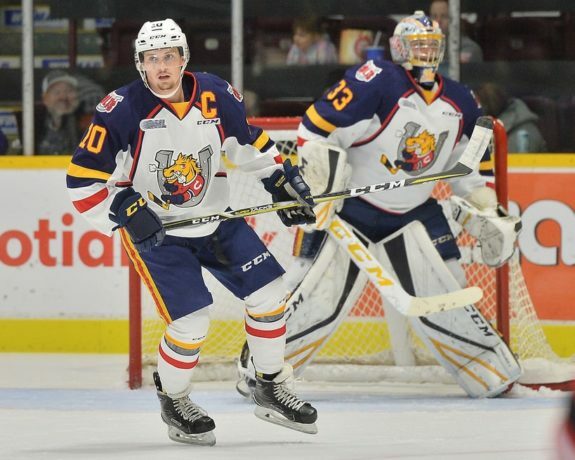 This week, the Colts traded second-year captain and OA defenceman Justin Murray to the Saginaw Spirit. The deal was a three-team trade. Barrie acquired sophomore defenceman Jack York from the Kitchener Rangers and a fifth-round draft pick (2020). Murray played his entire OHL career up until this point in Barrie since being selected 145th overall at the 2014 OHL Draft. After 221 games played he totaled 17 goals and 68 assists. Murray was loved and respected by his teammates and fans for being a great leader on and off the ice. Barrie made a similar trade two seasons ago when they sent OA captain Cordell James to the Owen Sound Attack for a draft pick. Murray played in his first game with Saginaw and put up a pair of assists. With Murray gone, this will open up opportunities for a young defenceman to earn a bigger role on the roster. 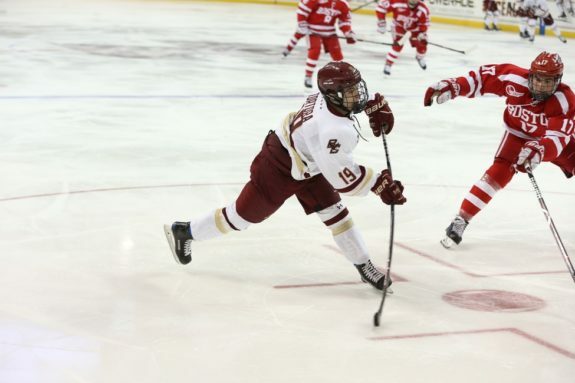 Expect St. Louis Blues prospect Tyler Tucker and New York Rangers prospect Joey Keane to carry the majority of the workload. Look for draft-eligible Nathan Allensen to step up his production since he will get more minutes with Murray gone. Allensen has not progressed as much as many expected, however, it isn’t easy to make strides when there are so many top defencemen eating up big minutes. Expect coach Dale Hawerchuk to utilize Allensen more. An opportunity the defenceman will no doubt try to make the best of. The team has three games left before getting more than a week off for the Christmas break. Many in Barrie hope to see the team sell off assets with hopes of Barrie building for the future. While I can appreciate why that seems enticing, I wouldn’t expect Colts general manager Jason Ford to pull the trigger on that plan. Ford took what seemed to be a long shot bringing in import picks Maksim Zhukov and Matej Pekar who joined the roster this season. While they were committed elsewhere, Ford did what appeared unlikely and got them to commit to the Colts. He also gave up assets to bring back Jacob Tortora, who was playing in the NCAA with Boston College who has been a great move for the Colts. Barrie may consider moving one of their three goalies. Also, with an OA spot open, they may look into bringing in a veteran player to fill that spot. Murray was the clear leader of the team and it wouldn’t hurt to bring in a guy to fill that spot. While the team hasn’t looked like a top contender, they have a lot of skill and could turn things around with some small adjustments. Even though teams like the Ottawa 67’s, Sudbury Wolves and Niagara IceDogs seem top teams in the East, the Colts don’t have a history of being a “seller”, and I wouldn’t look for them to start now.